The goal of this FLEX program is to provide a foundation for foreign language study to children enrolled in 2nd, 3rd, & 4th grade at University Place Elementary school. The 30 minutes a week lessons introduce French vocabulary that supports the other classroom lessons (for example, studying season vocabulary while children are learning about weather, working on counting for math practice, etc.) and offer opportunities to explore Francophone culture. Our objective is to familiarize children with the notion that thoughts can be expressed in another language and develop an appreciation of other societies and customs to nurture their global citizenship. Learn more about this volunteer opportunity here. Undergraduate students who have completed FR101. All students working with children or in a school building when children are present must complete and pass a background check before volunteering. The cost for the background check is $23. All volunteers must attend a short training meeting. Receive prepared lesson plans and materials. Follow lesson plan directions to progress through the activities tailored to the classes’ levels. When to volunteer Fall 2019? 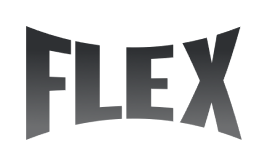 Interested in volunteering for the FLEX program? Contact Dr. Stevens with the time(s) you are available to volunteer.